Ever had unwanted discharge? Thankfully this will never happen again thanks to the Lumina — just hold the on button for seven seconds and it will lock, meaning it won’t come on accidentally in your bag. Another seven-second press unlocks it again. That’s about as complicated as it gets: the Lumina has three power modes, but you can’t program it to do anything more, or even come on automatically in the brightest setting. The helmet mount will cost you an extra £11.99 and uses two nylon straps that loop through your helmet vents and lock tight, to create a decent, low profile, mount. 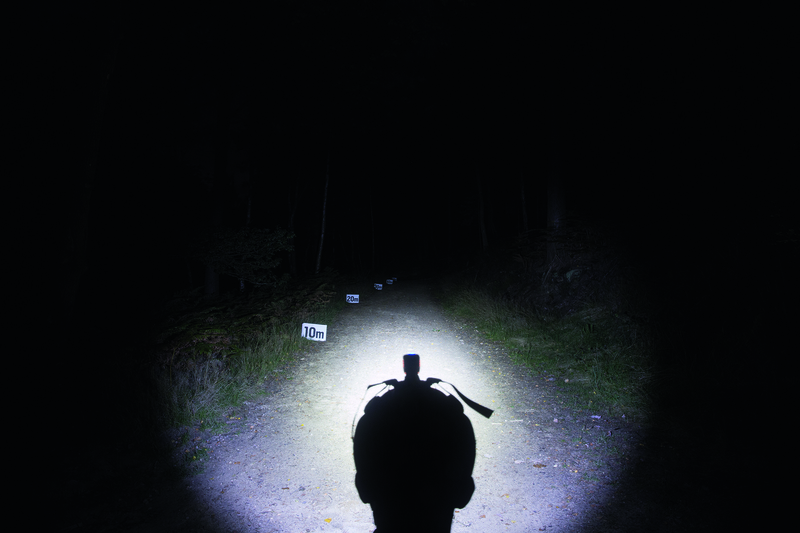 The Niterider Lumina has a focused beam, that pumps light further down the trail than its 758 lumen count would suggest. The light is white and clear, rather than yellow and seems to give better definition but a halo around the edge is distracting on wider, faster trails where the beam shape becomes more noticeable. It also turns on in the low setting, which is annoying, because you have to toggle through to high beam each time.